Homeowners across the country turn to Renewal by Andersen® for quality, energy efficient windows that are both beautiful and durable. Replacement windows have become necessary for so many homes, and Renewal by Andersen produces the highest quality replacement windows on the market, using advanced materials that are designed to outlast and outperform wood, vinyl, and aluminum. 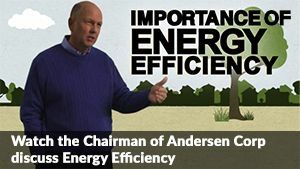 No other window company can match the longevity of Renewal by Andersen. Andersen products and patents have revolutionized pioneered and perfected the window and door industry window technology for more than 110 years, changing the window industry as a whole, while fulfilling their mission of protecting the environment and natural resources. In order to further serve homeowners, Renewal by Andersen offers one of the strongest window and door replacement limited warranties you will ever find. ** These warranties only apply when you choose replacement windows from a certified representative like Renewal by Andersen of New Jersey-New York Metro. To learn more about Renewal by Andersen and to experience the quality of their replacement windows, call Renewal by Andersen of New Jersey-New York Metro at (800) 577-7744. Homeowners in New Jersey can also fill out our convenient online request an estimate form today!